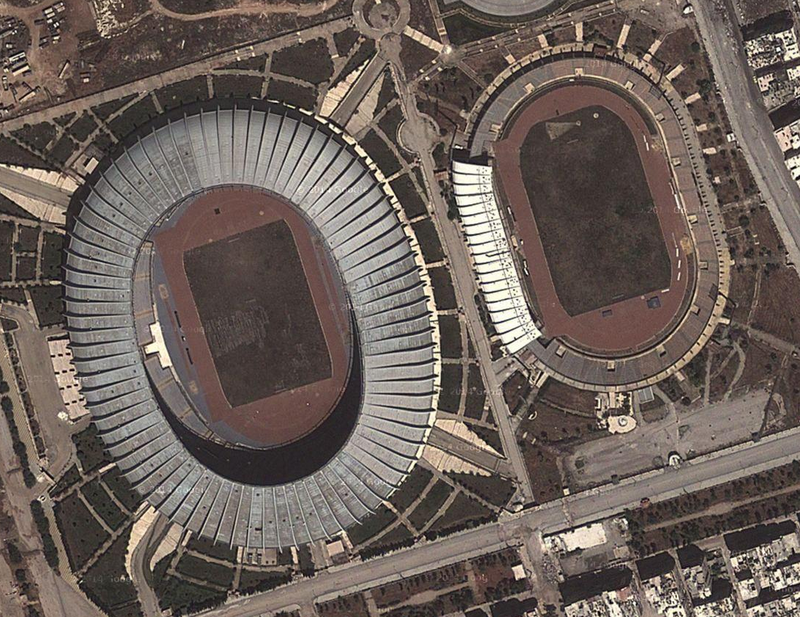 I thought I had pretty much had every country in the world covered with at least one track, but realized that I had somehow missed Syria, and missed in a big way by overlooking Aleppo International Stadium. 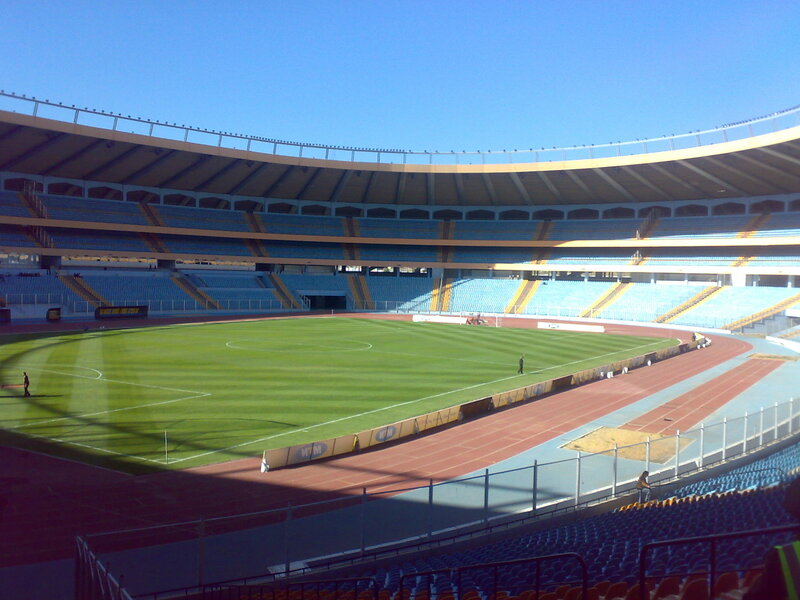 This stadium opened in 2007 and is the largest in the country with a seating capacity of 53,200 people, and full capacity of 75,000. It also has the longest construction phase of any facility I have come across, and it’s not even close. They broke ground and started building the stadium in 1980, but it was halted a few years later due to financial difficulties. It sat for two decades until 2003 when the work was resumed and finally finished. The result is this nice looking stadium with a nice looking track. The track is red, and has the blue surface installed around the outside, which matches the blue seats. Overall, this facility has a great look to it.